And here is the result of all my musings. 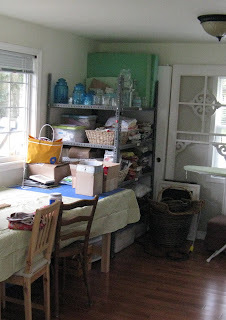 A before shot of the chaos in the sewing room post-wedding: And now, after a weekend of organizing and painting. I am now ready to create again. Don't those shelves look dainty?